If you are looking for the best water tank cleaning service in Canada then you have come to the right place. Scantron Robotics Inc is the ultimate water tank cleaning service in Canada! 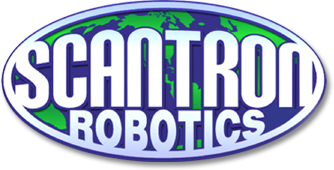 Scantron Robotics has access to the most advanced robotic tank cleaners that are available. Our robots are able to keep the man out of the environment and provide a safe, cost-effective and low operational impact service. With thousands of tanks cleaned, we are the premier robotic tank cleaning company in North America. The reservoir remains in service during the cleaning process, thus fire protection and distribution are not compromised. An improved chlorine residual power brush removes tank contaminants and sediments without particle turbidity. A real-time video recording of the process is provided with robotic cleaning service. This assures the cleaning was performed to the owner's satisfaction. All SCANTRON ROBOTICS equipment is sanitized according to code and is designated for potable water only.